Pritchett, a winter club wheat developed by Washington State University and the USDA-ARS, is targeted to the traditional low-intermediate rainfall club wheat growing region. Pritchett was named in honor of John Pritchett, who served the USDA-ARS wheat breeding program from 1957–2000. Pritchett has excellent emergence from deep sowing, excellent club wheat quality, and excellent resistance to stripe rust and Cephalosporium stripe disease. Pritchett should replace Bruehl in low rainfall areas due to superior yield, test weight, milling quality, eyespot tolerance, earlier maturity, similar winter survival and moderate snow mold resistance. Pritchett has been intermediate to Bruehl and ARS Crescent for tolerance to low falling number. 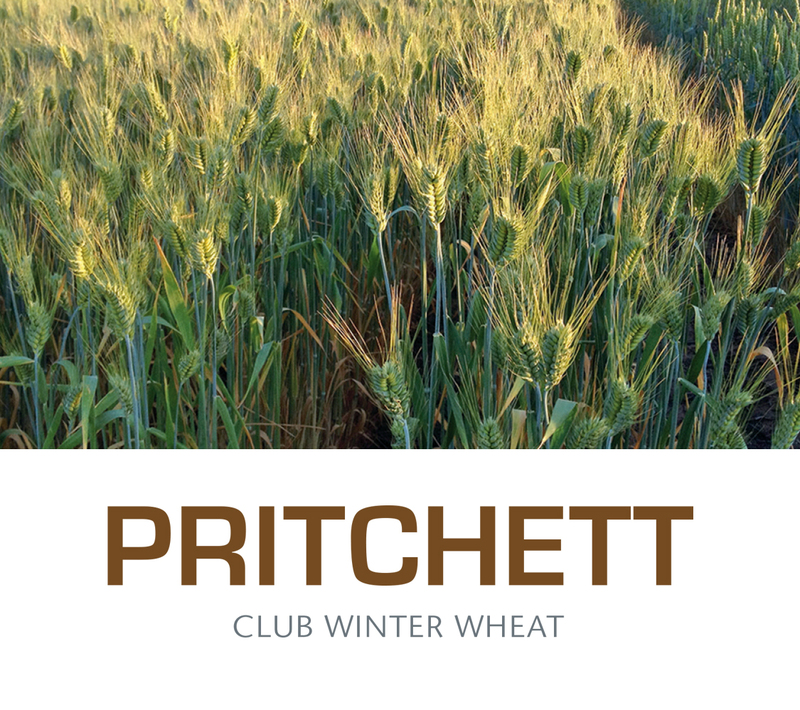 Grain of Pritchett grades as club wheat more consistently than Bruehl.